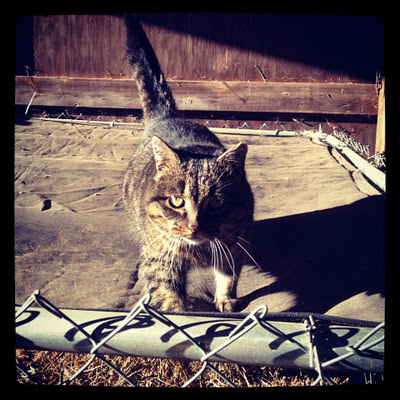 Barn cats are decidedly different than house cats. Now don't get me wrong, our barn cats are all spayed or neutered, and they receive regular vet care - but they are extremely independent. They have no fear of the sheep, the donkeys or the dogs. 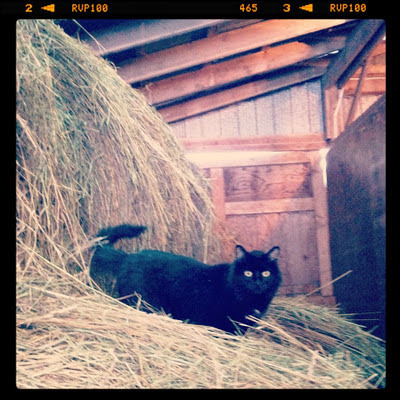 They know where all of the best hidey holes are, and they have built incredible tunnel systems within the hay storage. 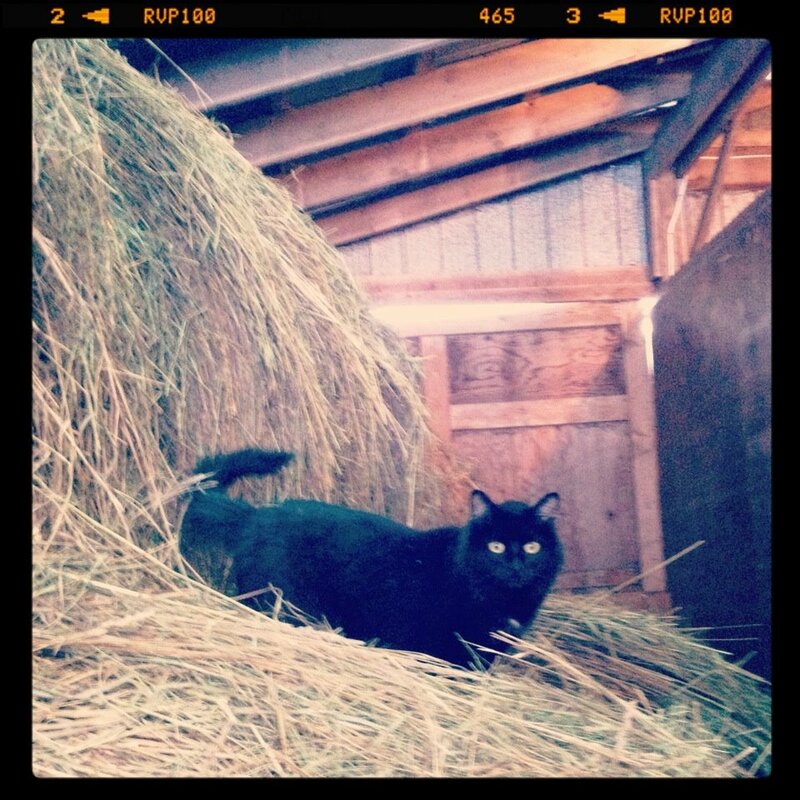 It's not unusual to see a cat disappear into the base of the round bales, and appear moments later at the top, taking some secret short cut within. They know to hide deep in the hay on the coldest days, and they know to avoid chasing the ducks. They know the routines and come running as they see me heading for the sheep barn. Each day as I head down to the barns to feed sheep and donkeys and chickens and ducks....I also have a can of cat food tucked into the recesses of my deep coverall pockets. It's true they don't really need it, they are quite portly looking. 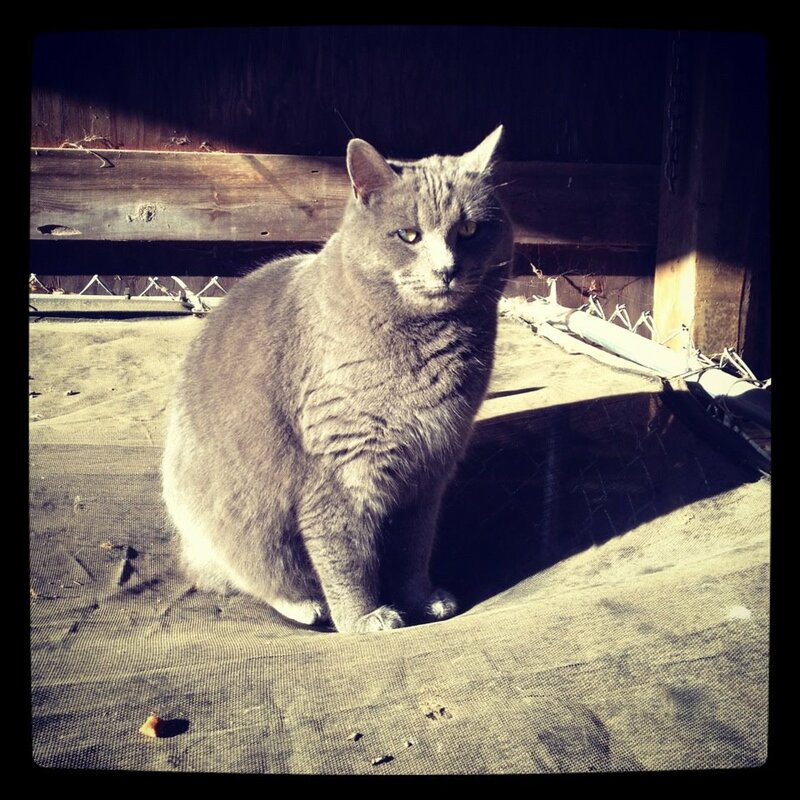 But I argue that in the winter months a wee bit of wet food is enough to keep some much needed fat on their frames. There is plenty of time for them to slim down again in the summer months chasing butterflies.